Hindi Cinema has produced only few quality movies based on Indian Independence Movement which can be considered as Text Book Material for the younger generations. And if we begin thinking about them from the start then “Shaheed” stands tall among the top 3 movies on the subject till date. Without touching any sensitive issue of religion, caste or region, the movie talks about the inspiring life of Shaheed-E-Azam Bhagat Singh with an authentic depiction of the tough fight he gave to the then ruling British Authorities. Such was the strength of his spirited revolt that the British Empire was forced to give him and his fellow supporters the dreadful death penalty in order to save their own empire. And it is still believed by a stronger section of people that the cruel hanging of Bhagat Singh, Rajguru & Sukhdev actually laid a strong foundation for our Independence, we later got in 1947. Although many current film-makers have also come up with their own versions of this historical chapter (Rajkumar Santoshi, Ajay Devgan, Sonu Sood & the Deols), but Manoj Kumar & S. Ram Sharma’s “Shaheed” still remains the most realistic and moving movie made on the Legendary Bhagat Singh’s life in these 100 years of Indian Cinema without any doubt. A valid explanation for the film still being the best is that it was made by the people who were much more closer to that actual era than the later ones. As a matter of fact there wasn’t enough published research material available on the subject for the writers at that time, if compared with the present. 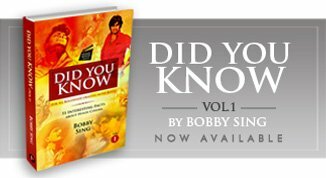 So it was largely made on the story content compiled with the help of Bhagat Singh’s mother & other members of his family as also mentioned in the film’s credits. “Shaheed” won three national awards wherein Manoj Kumar invited Bhagat Singh’s mother to receive them on the stage and the crowd gave her a standing ovation, showing their immense love & respect towards her son. It is said that our former Prime Minister, Lal Bahadur Shastri loved “Shaheed” so much that he especially asked Manoj Kumar to make a movie based on his principle of Jai Jawan Jai Kisaan. And Manoj Kumar made UPKAAR as his next project with the same emotions for his country. The fact on its authenticity mentioned above also proves to be true when you can feel the exact passion and emotions in the superb acts portrayed by every single actor in the movie, written thoughtfully. Moreover the film had the most patriotic person of the Indian Film Industry playing the lead role, Manoj Kumar, who later also became famous as “Mr. Bharat” due to his memorable movies made on India, its rich culture and its social values. Interestingly apart from the lead, the other highly impressive character in the movie was played by the then famous bad man, Pran, who surprised many through his terrific transformation on the screen with “Shaheed”. The veteran entertains as well as makes you think, in his few scenes featuring many well written philosophical dialogues delivered brilliantly. While watching his enjoyable interactions one simply falls in love with the way he speaks in his own Punjabi style and on the day he makes his last wish, you can feel both the joy and the pain in his heart having the final hand shake with his idol Bhagat Singh. The concluding 30 minutes of “Shaheed” are the highlights of this highly appreciated historical classic, when Bhagat Singh, Rajguru and Sukhdev are moving towards their end with a heavenly smile on their faces. And when they strongly hug each other for the last time, you are bound to have tears in your eyes remembering their brave sacrifice for the country with love & respect. Along with its immortal songs composed by Prem Dhawan, such as “Mera Rang De Basanti Chola”, “Aye Watan Aye Watan“, "Pagdhi Sambhal Jataa” & “Sarfaroshi Ki Tamanna”, the movie becomes an unforgettable experience for everyone feeling the passion for their nation and its people even as you watch it in the present 21st century in the changing times. Another USP of “Shaheed” is that it is miles ahead of any caste and religion differences. It completely focuses on the revolutionary efforts of Bhagat Singh, his friends and their valuable contribution in our freedom struggle and not anything else. To say the truth, though there have been more than 5 films made on this subject post “Shaheed” in the last few decades. But still it can easily be concluded that the finest film made on the life of Bhagat Singh unarguably has to be Manoj Kumar’s “Shaheed” released in 1965. It was, in fact, like a solid foundation laid for the powerful series of visionary Manoj Kumar’s classic patriotic films to be made in the later years of his illustrious career. Hence if you want to teach your children, about how we earned our independence in 1947 then this is one of those most important movies to be shown to the younger generation with great pride and honour. But please don’t take it as a just another weekend movie for your timely pleasure since its much above than that having the power to define the foundation of many future lives and personalities. Starring : Manoj Kumar, Pran, Prem Chopra, Kamini Kaushal, Nirupa Roy, Anand Kumar, Madan Puri & more. Tags : Shaheed, 1965, Movies To See Before You Die, Historical, Manoj Kumar, Bharat Kumar, Mr. Bharat, Shaheed Bhagat Singh, Rajguru, Sukhdev, Prem Chopra, Pran, Kamini Kaushal, Must See Movies List by Bobby Sing. Indeed this is a movie that revived the career of Manoj Kumar and gave him a hit formula of making patriotic movies in future. This was one movie that Indians cannot forget. This movie had been made in India, when Indian freedom struggle and martyrdom of shaheeds was still fresh in people\'s memory. The music of this song was top class. Prem Dhawan, usually known as a lyricist , doubled up as music director too at the insistence of Manoj Kumar and served up a wonderful musical fare. Overall, it was a great movie. a must watch indeed. thanks for reviewing one of my old time favorites that have inspired me in so many ways! one thing i miss in your this review is the mention of side actors like prem chopra and kamini kaushal who made the movie truly memorable. Also, it appears that you do not highlight critical moments in the film, which is fine, but in my opinion that will elevate your reviews considerably. You are very right in your observation. Actually this was not a review of the GREAT CLASSIC. But I only wanted to talk about the movie collectively with respect to every single actor in it. I only wanted to get the younger generaton know about these kind of inspiring movies which they must see. So it is a spirited write up on one of the most important movie on our Independence and not a review as such. Also, truly speaking I dont feel like reviewing the OLD CLASSICS like I do with the Latest Releases. I really feel those immortal movies are simply above any reviewing system and dont feel like doing it. Hope to see you here more often....with your valubale comments.